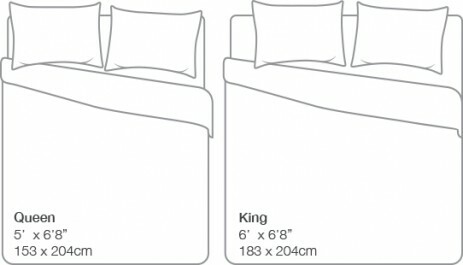 The dimensions of our mattresses refer to the sleeping area/mattress size of the bed. Bed frames in wood, metal or fabric will have an overall width and length greater than the sleeping area due to the nature of the beds construction. Ensemble beds (base and mattress) are the same width and length as the sleeping area. Special Sizes: Some models can bed made to a specific size. Please contact us for special orders. *These sizes may vary slightly between brands.